This book describes the process of completing an NIH R01 grant application. It begins with the formation of an idea and proceeds through the subsequent stages: verifying the idea's strength and potential, collecting high-quality preliminary data, networking for feedback, writing the first and subsequent drafts of the application (including details on what to include and tips on content and tone), polishing the application, and following through after the decision is announced (appropriate responses to success or rejection). Each main stage is broken down into conversational paragraphs and bullet points for easy reference. This easy-to-navigate book focuses on concise details and strong headings and subheadings making the content clear and easy to retain. 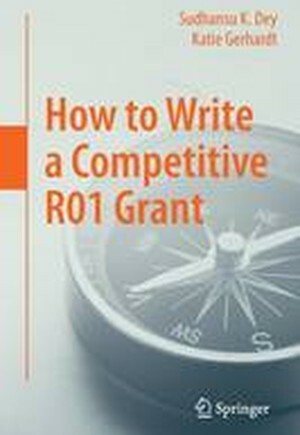 It serves as a valuable reference source throughout the grant writing process and offers a practical outline of action. Introduction: Fear of Uncertainty: Enter at Your Own Risk.- 1. Start with an Innovative, Out-of-the-Box Idea.- 2. First Round of Critique: Is Your Idea Actually Marketable?.- 3. Gather Contacts, Initiate Connections.- 4. Draft your Project.- 5. Learn the (Application) System.- 6. Find your Audience.- 7. Begin Writing. Officially.- 8. Edit.- 9. Keep Working. Fish for Feedback. Edit again.- 10. Gathering Documents to Submit the Grant.- 11. Submitting the Grant.- 12. Be Prepared to Wait.- Appendix 1: Sample R01.- Appendix 2: Letters of Support.